The US population is becoming more diverse. Despite changing demographics, health disparities and inequities in the numbers of ethnically/racially diverse health care providers perpetuate. Numbers of underrepresented minorities (URM’s) graduating from medical schools continue to be far less than percentages in the population. Quality health care and outcomes for minorities continue to lag behind white counterparts. Successful methods and strategies to address these concerns should be sought and utilized. These disparities and inequities must be addressed aggressively and continuously through training, research, recruitment, and retention of health care providers and researchers from underrepresented minority groups. 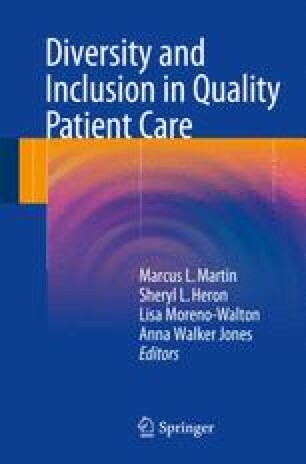 We present historical perspectives on racial/ethnic health care disparities and inequities. About the USHPS Syphilis Study. Tuskegee University. c. 2015. Available from: http://www.tuskegee.edu/about_us/centers_of_excellence/bioethics_center/about_the_usphs_syphilis_study.aspx.